Barbara Cantalupo, ed., Emma Wolf’s Short Stories in the Smart Set (Brooklyn: AMS Press, 2010). 247 pp. $87.50. 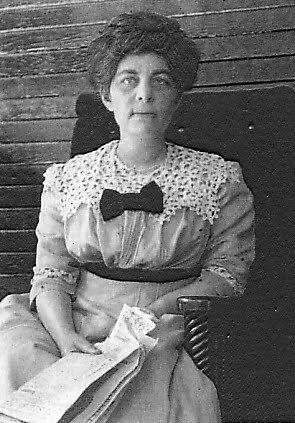 The mother of American Jewish fiction, Emma Wolf (1865–1932) published four other novels in addition to her popular and pioneering Other Things Being Equal, but she also wrote a decade’s worth of short stories for the Smart Set, the irreverent and glossy “magazine of cleverness” that is customarily described as the New Yorker of its day. Wolf finished her run before H. L. Mencken and George Jean Nathan took over as the magazine’s most famous editors, and a century later the Wolf scholar Barbara Cantalupo has redeemed the stories from serial oblivion and packaged them for the first time in a single volume. “Curiously,” she writes in the Introduction, “none of these stories takes into account Jewish culture, as did . . . Other Things Being Equal. . . .” Equally curious is their lack of “cleverness.” Cantalupo quotes the historian of the Smart Set on the term’s connotation at the time of the magazine’s founding:To be “clever” in 1900 was to be au courant, One-Up, ahead of the game, a trifle jaded and a wee bit cynical. It was not quite the same thing as being “smart,” or fashionable; in fact, it was “clever” to be affectedly careless of fashion [and] . . . to puncture . . . hypocrises and inconsistencies with good-natured raillery.The “clever” set, in short, were the hipsters of their day, substituting “good-natured raillery” for smug knowingness. Little of this attitude sneaks into Wolf’s stories. What they display instead is a sort of teasing mischievousness, as when a dying girl welcomes a visitor in “A Study in Suggestion,” the first story in the volume, published originally in 1902:“It is all right,” she assured him, with a laugh, the gurgling merriment of which only added to his annoyance, as she held out her pretty hand; “it’s not a joke. I really am dying, though appearances are against me. You need not look so angry and disappointed.”Running deeper than this superficial verbal sauciness are Wolf’s values, which were not particularly up-to-date. Born with a “useless arm,” as a childhood friend recalled, a victim of polio who rarely left the house, a lifelong spinster, Wolf was a perhaps surprising advocate of home and family and monogamous marriage. “The deformed man is always conscious that the world does not expect very much from him,” wrote Randolph Bourne, himself a hunchback, in 1911. “And it takes him a long time to see in this a challenge instead of a firm pressing down to a low level of accomplishment.” For Bourne, the challenge of deformity led in a straight line to his literary challenge to bourgeois expectations. But not for Wolf. In one story, for example, she condemns the “dogma of hereditary instinct,” au courant in her day, which was associated with “the iconoclastic ooze of Ibsen, Shaw and Company.” Over against it she affirms “the religion of parenthood” and the dogma of indissoluble marriage. Again and again, her stories give the nod to parental responsibility and the purity of unbroken conjugal promises. ukhvod YHVH alayikh varah.The first verse is inverted and sung by religious Jews on Friday evenings in the hymn l’khah dodi, welcoming the Sabbath. Ironically, the image of floating down like a dove shows up later in the chapter (v 8), and the chapter as a whole is a prophecy of Zion’s restoration and Jerusalem rebuilt. But Emma Wolf was not a Zionist (the movement to create a Jewish state in Palestine had been active in America for over a decade by the time Wolf wrote her story). She does not even seem to have intended the quotation from Isaiah to prophesy the rebuilding of San Francisco. In fact, the immediate effect is muddled. Lucy recognizes that the scorched paper containing Isaiah’s words are froma leaflet from a prayer book, wafted over miles of blackened ruins to her seared soul. Was it a message? She thrust it into her bosom in wondering awe.Lucy does not comprehend the message at first, because the scrap from Isaiah turns out, a few pages later, to be a metal-grinding foreshadowing of her reunion with her husband, whom she had divorced years earlier to go off with another man. She subsequently left her lover too, and when she bumps into her first husband in the city’s ruins, Lucy tries to explain. She never even married her lover. And why? “The years had married me—indissolubly—to you, John,” she says. When the time came, she found that she could not go through with her second marriage without sacrificing her “ideal of purity.” And not only hers:The ideal of all honorable women. It is a simple thing: I belonged to you. The day I married you I gave myself to you forever—my thoughts, my honor, my devotion.Ah, the purity of a woman’s eternal love! Needless to say, Wolf has moved quite a distance from Isaiah’s original place in Jewish liturgy. She had testified to something similar in Other Things Being Equal when, on his deathbed, Jules Levice finally blesses his daughter’s mixed marriage to a Unitarian by reciting birkat habanim on the head of his future son-in-law. It is the one and only time in the novel that Wolf employs a Jewish idiom, and its unironical adaptation for the purpose of blessing a non-Jew who is assisting a Jew in violating Jewish law shows just how far Wolf had wandered from her native tradition. Barbara Cantalupo’s well-edited volume of Wolf’s stories is a valuable addition to our knowledge of public middle-class ideology in the first years of the twentieth century, and of how a certain type of American Jew felt safe in abandoning Judaism for it. I don't know, 87 dollars seems like a lot to pay for the book. Eighty-seven dollars for a collection of previously-published stories already in the public domain is excessive. And no matter how insightful the introduction, the price seems greedily unnecessary. With WorldCat and inter-library loan I don't imagine any interested scholars being unable to access the stories prior to this book's publication. So outside of the interested few, has anything really changed? Professor Cantalupo may have rescued Wolf's stories from serial oblivion, but at this price they will remain unknown and unappreciated by readers. Although I have no opinion on the book’s price, I will point out that apparently there is only one fully extant run of the Smart Set. It is possible—I cannot say one way or t’other—that Wolf’s stories are not readily available in the public domain. I'm not trying to cast aspersions on either Wolf's stories or Cantalupo's efforts (or your review, for that matter), but rather pointing out that with the price tag AMS has given the book, its audience will almost certainly come from the campus alone. You may be right that there's only one complete run in existence, but if Professor Cantalupo managed to find all ten, I'm certain any other interested scholar could do the same. Also after looking on WorldCat at the 96 libraries in the U.S(the majority at universities and colleges)that possess partial or nearly complete runs, it wouldn't surprise me if, with the help of an index, one was able to find all ten stories. It also appears that microfilm copies of the entire run are floating around, even if it's not the most friendly format for inter-library loan. So once again I'd suggest that with internet databases, WorldCat and inter-library loan, most, if not all, scholars already had access to the stories. So I wonder why, then, a price tag guaranteed to ensure these stories find no new readers? I'm not asking you to further comment or answer regarding price - just explaining the reasons for my head-shaking.